President Ram Nath Kovind paid tributes to the victims of 26/11 Mumbai terror attacks on its ninth anniversary and said people must resolve to take on, defeat and eliminate terrorism in all forms. NEW DELHI: President Ram Nath Kovind on Sunday paid tributes to the victims of 26/11 Mumbai terror attacks on its ninth anniversary and said people must resolve to take on, defeat and eliminate terrorism in all forms. "On the ninth anniversary of the Mumbai terror attacks, we mourn with the families that lost their dear ones. And we recall with gratitude the security personnel who gave their lives in the battle against evil," Kovind said. 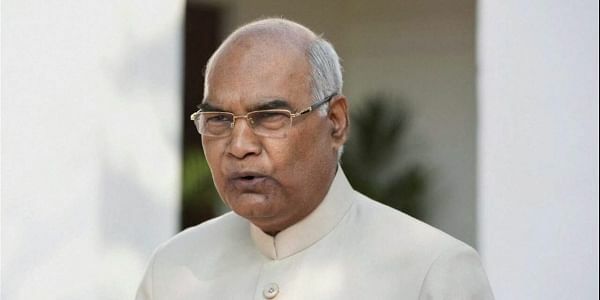 "On this day, we renew our resolve to take on, defeat and eliminate terrorism in all forms -- and to make our people, our country and our world safer," Kovind said in a tweet. Over 160 people were killed and more than 300 injured when the terrorists of Pakistan-based Lashkar-e-Taiba launched a series of attacks on India's commercial capital on November 26, 2008. Speaking at the ninth anniversary of 26/11 Mumbai terror attacks, the chief minister said, “The way incidents of terrorism are increasing, not only the police and security forces, but all citizens of this country need to be vigilant and alert. Every citizen should cooperate with our police and the army force. We should work together to crush terrorism. This would be the biggest tribute to the martyrs,” Fadnavis said.